This is just to let you know about a few recent developments leading to the foundation of the European Bureau for Policy Consulting and Social Research. 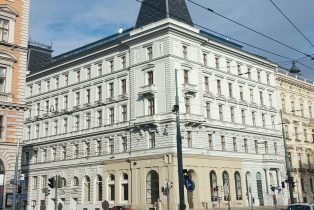 In September 2015, after having served more than 27 exciting years as its Executive Director, I left the European Centre for Social Welfare Policy and Research, affiliated to the United Nations, in Vienna, in order to accept the offer to become the Director (Rektor) of the US-American Webster Vienna Private University (WVPU). After an interesting academic year 2015/2016, divergent views on the university’s future perspectives made me decide to move on, once again. My time at Webster was enriching and I would not want to miss it. But it was not what I was made to expect – and it simply felt not good enough for me to be continued. Above all, it was not what would make the best use of the lifetime available to serve the public. In the words of the protagonists: “I do feel that it is time to focus more strongly on purely academic work and research. The unavoidable administrative load of the Director’s role is a main reason behind my decision to opt for a change.” (Marin). “In light of Prof. Marin’s outstanding academic qualifications and performance, we understand that he wishes to fully devote his professional future to research and consulting and publishing,” explained Prof. Peter Maher, Associate Vice President of Academic Affairs for Webster University in St. Louis. Consequently, I decided to start-up a new European Bureau for Policy Consulting and Social Research. This allows me to ultimately return from being a mere administrator providing academic concierge or boutique education to scholarly matters, social science research, strategic consulting and professional publishing afresh. As well over 90% of third-party research funding of Webster University Vienna 2016 was linked to me personally, resources were easily moving along with me. Happily, the same applies to some staff members and new recruits longed for long since, both coming to the new European Bureau. Together, we will i.a. carry out the Social Inclusion Monitor (SIM) Europe Reform Barometer project for the Bertelsmann Stiftung (www.social-inclusion-monitor.eu), in cooperation with the WPZ of the University St. Gallen, and other projects. Thus, with the foundation of a new set-up a much better way of spending professional energies has been discovered. I want to help not just to generate, but also to translate scientific reasoning, knowledge and findings into popular understanding of comparative empirical research outcomes. In the future we will focus on social science to be construed as what I label journalist “pop-science” in civic discourse and public debate. In terms of services offered, the European Bureau for Policy Consulting and Social Research and I personally provide expert advice, professional and strategic consultancy, research, keynotes, lectures and presentations, commentaries and participation in discussions and public debates, continued education, training sessions, workshops, expertise, scientific publications as well as journalistic contributions in print, radio, video and television.